British Prime Minister Theresa May will today find out if her withdrawal deal has any hope of survival despite accusations she is leading Britain towards a “blind Brexit”. 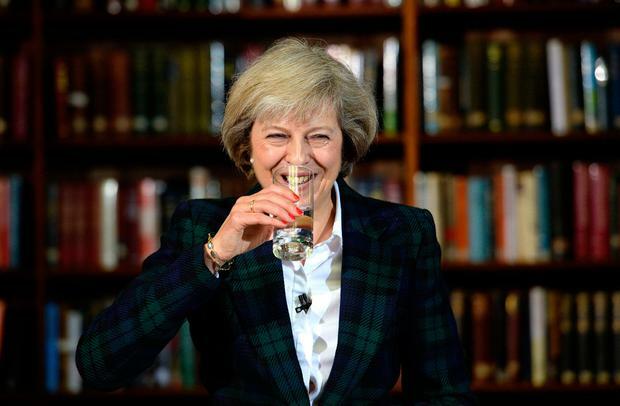 On the day Britain was meant to leave the EU, 1,009 days after the referendum, her Brexit vision will stand or fall on a plan put together over the course of eight frantic hours yesterday. She will bring a fresh Brexit motion to the House of Commons as part of her bid to get approval for the Withdrawal Agreement. Commons Speaker John Bercow cleared the motion for debate, ruling that it complies with parliamentary conventions which bar ministers from asking MPs to vote repeatedly on the same proposals. If passed by MPs today, the vote would qualify the UK to be granted an automatic delay to May 22 of the formal date of Brexit. However, the vote is likely to fail as the DUP continues to oppose the agreement on the basis that it includes the Irish backstop. Labour has already declared it will not back the Government today, warning that it risked “the blindest of all blind Brexits”. Mrs May must convince around 50 Tory rebels to change their minds to stand any chance of winning. Boris Johnson, one of the former rebels, now says he will back the deal – but has told friends the deal is “dead anyway”. Amid further wrangling in London, the vote is not actually a so-called ‘meaningful vote’ but should either open the door to Mrs May ultimately getting her deal approved or kill it completely. House of Commons leader Andrea Leadsom said the motion was about giving parliament “the opportunity” to secure a Brexit extension until May 22, “giving people and businesses the certainty they need”. Labour’s Brexit spokesman Keir Starmer said the motion being tabled, which omits the political declaration on the next stage of the negotiations, leaves the format for a future trade relationship in the hands of May’s successor. That is very likely to be someone from the hard-line pro-Brexit wing of the Conservative Party. Mr Starmer said it would amount to “leaving the EU with absolutely no idea where we’re heading”. The British government’s move will allow Mrs May to present it as a choice between a short delay to Brexit and the potential for a much longer postponement which would mean taking part in European elections. But it would not allow parliament to go ahead and ratify the withdrawal deal. Brexit legislation allows this only after the passage of a ‘meaningful vote’ on both the Withdrawal Agreement and a Political Declaration on the future relationship. Downing Street has said that Mrs May will not move to a third meaningful vote – known in Westminster as MV3 – unless she believes she has a realistic chance of success, having seen it defeated by 230 votes in January and 149 in March. But it is understood that Number 10 believes that passing the Withdrawal Agreement alone would allow the UK to guarantee its departure date and avoid the need for Britain to take part in European Parliament elections on May 23-26. This would buy time to seek wider agreement among MPs on the shape of the UK’s future relationship with the EU, in the hope of passing MV3 in April and leaving with a deal on May 22. Significant doubts remain over whether Mrs May can secure a majority for the Withdrawal Agreement alone in today’s vote. The agreement includes the controversial “backstop” customs arrangements for the Border between the Republic and Northern Ireland. This continues to represent the biggest obstacle to support from the DUP and Brexit-backing Tories in the European Research Group. While keen to avoid any Border checks, the DUP has made clear this must not come at the price of erecting new barriers in the Irish Sea. Labour leader Jeremy Corbyn spoke to Mrs May by telephone for 20 minutes about the situation yesterday, and said his MPs would not back the Government move. If the motion fails, the UK will have until April 12 to ask for a further extension to Brexit negotiations – or leave the EU without a deal.